One night, two teenage girls decide out of summertime boredom to take a raft out on the bay surrounding their Red Hook neighborhood in Brooklyn. The next morning, one of the girls, Val, is found washed up onshore with a gash in the back of her head. Her friend June is nowhere to be found, and Val claims she remembers nothing of what happened. With this setup, you probably are expecting a police procedural, family drama, mass-market mystery type novel. That is not what this book is. I was so surprised by the tone and scope of this book that it took me a while to settle into reading. 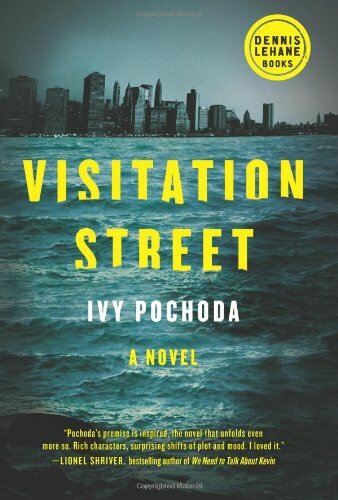 Of course, Pochoda doesn’t neglect the central question of what exactly happened to June that night on the bay—but she does so much more than just build a maze and patiently lead readers through it. Instead, the characters are central here, with their histories and painful memories and fears of the future. Cree, a black kid from the projects, was walking the pier on the night the girls went in the bay. He has been a loner ever since his father, a corrections officer, was gunned down at random in the street near their home. Fadi, a Lebanese grocery store owner, optimistically and charmingly tries to build unity in the neighborhood despite racial tensions. Jonathan, a Juilliard-trained musician who now accompanies a drag queen in her stageshow and teaches a music appreciation course, is forced to confront an old source of guilt when he finds Val onshore the morning after the accident. What’s so beautiful and amazing about what Pochoda accomplishes here is that despite how vastly different her characters are from each other, they are all searching for atonement and closure. Their stories tangle together to create a gorgeously wrenching portrait of love, loss, guilt, regret, and loneliness. The result is a book that is satisfying far beyond just a tidily-resolved disappearance. Also evocative is Pochoda’s level of detail in depicting the urban setting of Red Hook. The characters’ aching isolation becomes even more poignant when viewed against the backdrop of the crowded, clamoring city. Bottom line: Read this book, and get more than most mysteries have to offer.